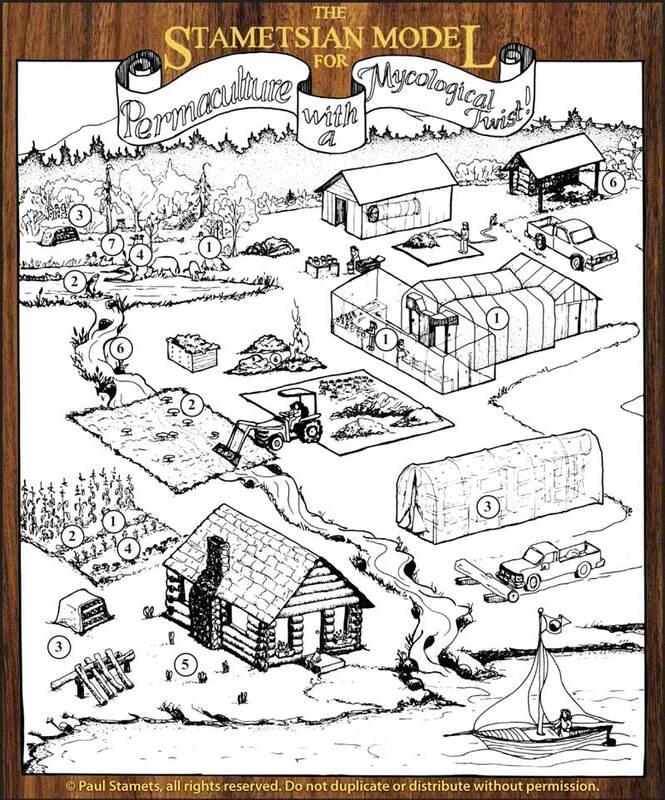 Check out this incredible talk that took place in March at the ‘Permaculture Voices 2 (PV2)’ conference. This is a free talk shared by Diego, the creator and host of the event, he shared it to promote the talks done by the other speakers. Paul’s central premise is that habitats have immune systems, just like people, and mushroom forming fungi are the foundation of the foodwebs of land based organisms. Our close evolutionary relationship to fungi can be the basis for novel pairings that lead to greater sustainability and immune enhancement. As w​e are now fully engaged in the 6th Major Extinction (“6 X”) on planet Earth, our biospheres are quickly changing, eroding the life support systems that have allowed humans to ascend. Unless we put into action policies and technologies that can cause a course correction in the very near future, species diversity will continue to plummet, with humans not only being the primary cause, but one of the victims. Fungi, particularly mushrooms, offer some powerful, practical solutions, which can be put into practice now. Paul will discuss his groundbreaking research utilizing their cellular networks to create molecular bridges governing the evolution of sustainable habitats. The implications of his research are far-reaching and could spark a paradigm shift to a better future. Short clip from a possible future (unreleased) documentary about Paul Stamets (mycologist) speaking on the benefit of mushrooms for nature and mankind. Lovely accompanying footage of mushrooms from the old growth forest. As CNN put it: “In non-scientific terms, they grind up seed husks and glue the small pieces together with mushroom root.” Their products include packaging and styrofoam substitute and the now-in-development Greensulate rigid insulation board for builders. Both products require less energy to create than synthetics like foam, because they’re quite literally grown. Equally compelling, at the end of their useful life, they can be home-composted or even used as garden mulch. Thanks to Garry Jenkins for sending me this information. Author AndrewPosted on January 25, 2014 January 25, 2014 Format VideoCategories Fungi, Uncategorized, VideoTags fungi, green, Inovation, Mushrooms, Packaging, Plastic, SustainabilityLeave a comment on TED Talk: Are Mushrooms The New Plastic? The above is a clip from “Greening the Desert” with Geoff Lawton, located in Jordan. Documentary about turning around and regaining land lost to desertification. Geoff helps turn a baron desert into a thriving forest. He talks us through the process of transforming the desert ground via processes that included things like desalination (desalting soil), water retention via swales, heavy mulching, planting legumes and many other things and they basically end up building top soil and in turn fertility. TED talk by Paul Stamets regarding Mushrooms and how he believes that mushrooms can save our lives, restore our ecosystems and transform other worlds. Loving this idea, if you’ve not got a log then maybe you got a bucket!